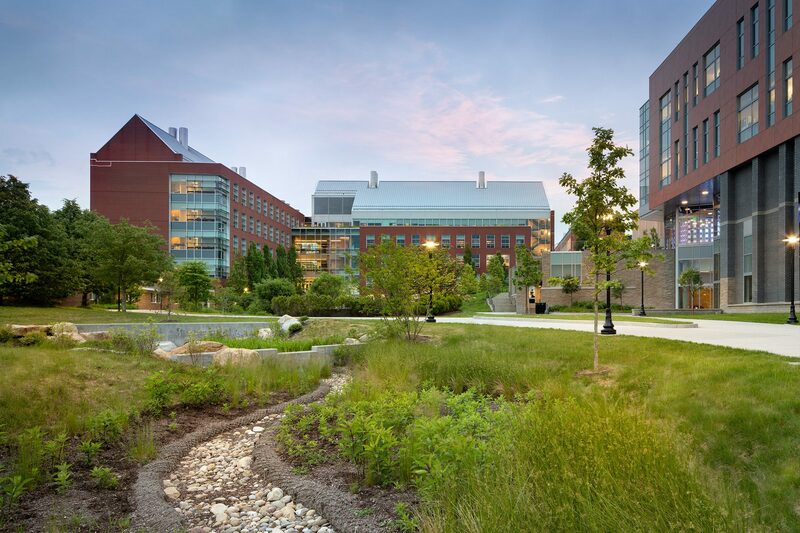 In 2009, CRJA-IBI Group was on the team selected to design a new 134,000 gsf LEED Gold Chemistry Building at URI. 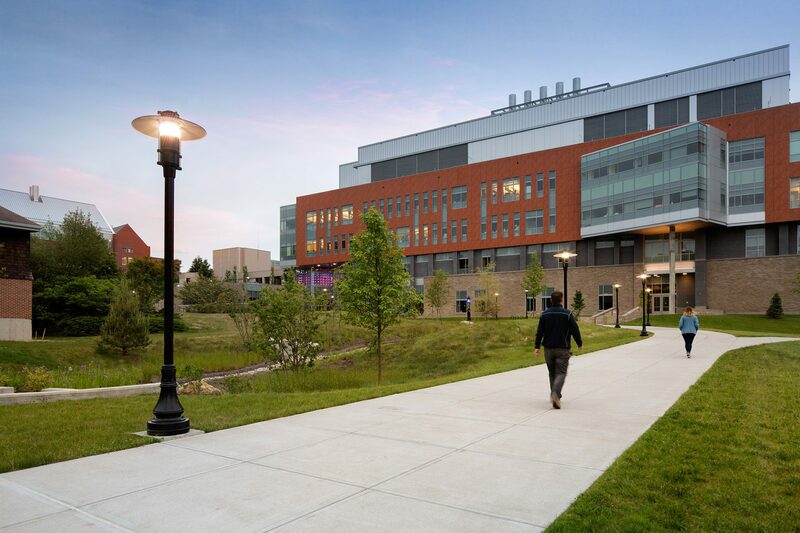 The building, containing space for general classrooms, 14 teaching labs and 36 research labs, is located within the Kingston campus’s new North District, a sustainable neighborhood that houses the major life science programs. 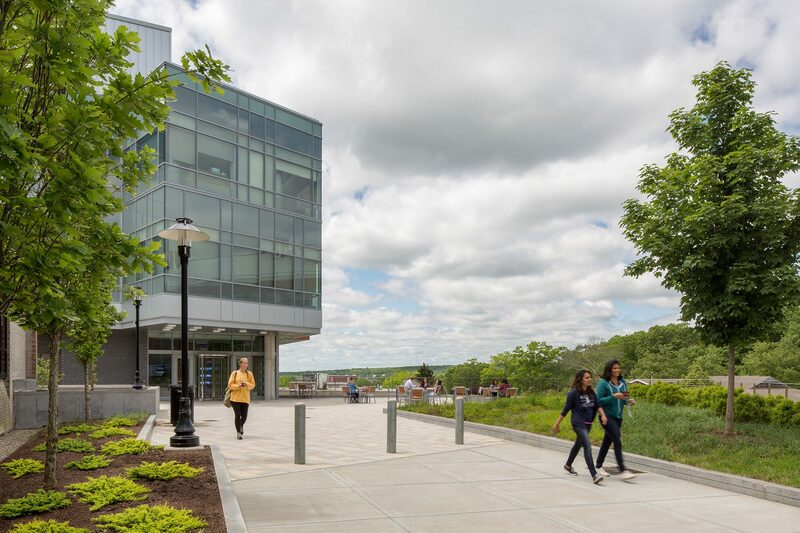 In addition, CRJA-IBI Group was the landscape architect for two other buildings within the North District, the Center for Biotechnology and Life Sciences (CBLS) which opened in 2008 and the College of Pharmacy. 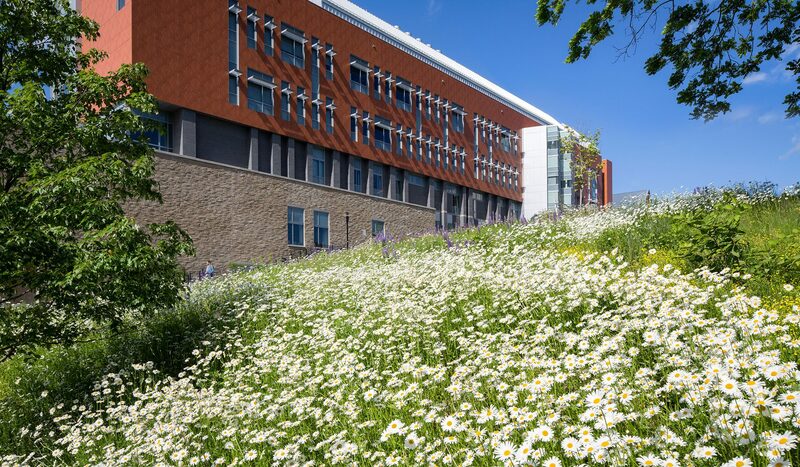 CRJA-IBI Group provided preliminary feasibility studies showing multiple design options for the Chemistry Building and site layout in response to existing topography, a wetland and woodland preservation area, and the adjacent rain garden CRJA-IBI Group constructed as part of the CBLS project. 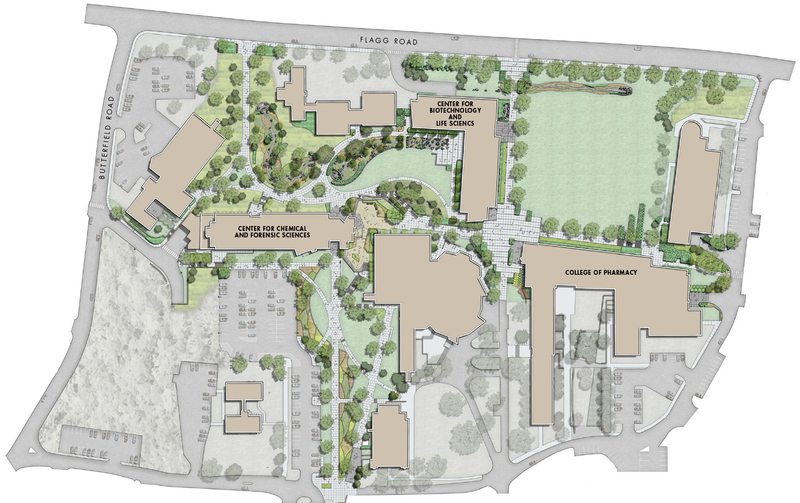 New site features for the building include bioswales and stormwater features that connect to the existing rain garden, constructed landforms planted with native grasses, new pedestrian circulation to negotiate a steep hillside and a central plaza area that connects the three new science buildings. 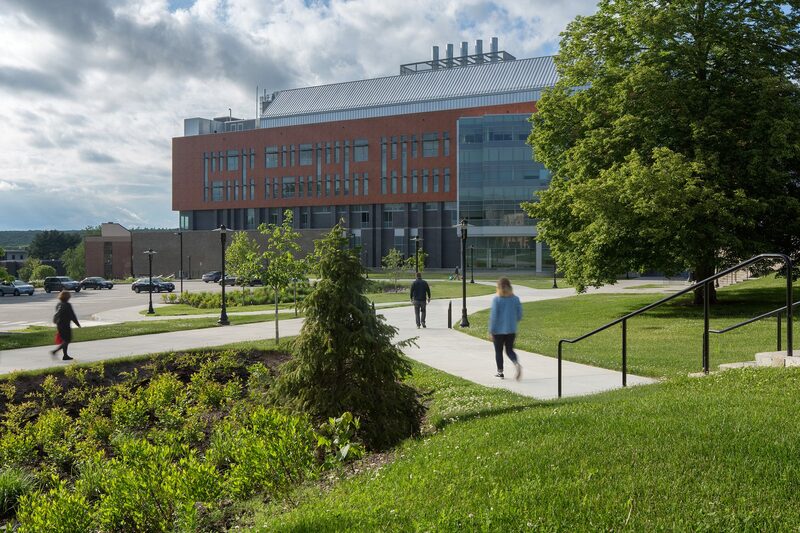 In conjunction with the Chemistry Building site design, CRJA-IBI Group also provided feasibility studies for a new 600-car parking garage on-site. Construction is underway. 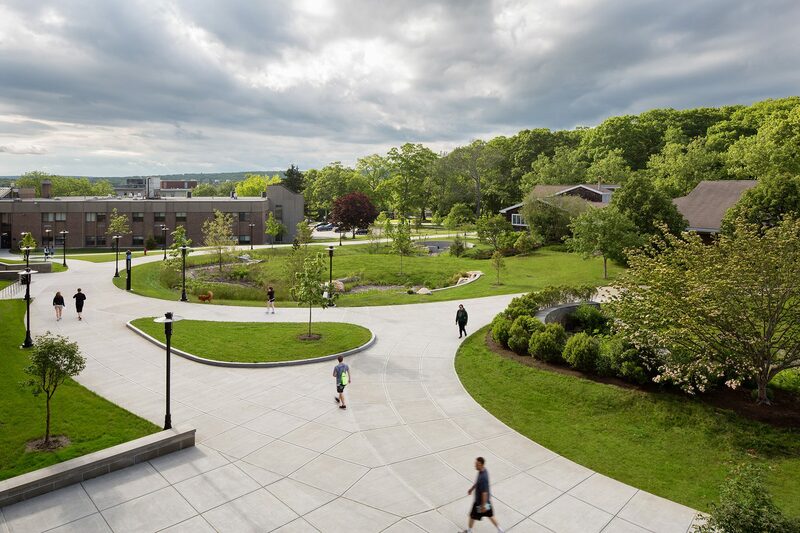 This project has achieved a LEED Gold Award from the U.S. Green Building Council.